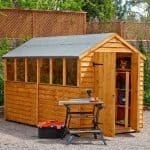 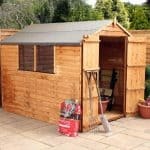 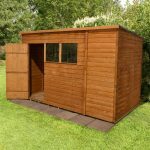 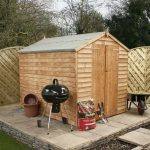 This spacious wooden shed has more than enough room to store a wide variety of commonly used tools and gardening equipment, which makes it ideal for gardening and DIY enthusiasts. 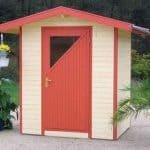 Furthermore, the door and the windowed, front panel are interchangeable, which provides the ability to partially customise the shed according to spatial requirements. 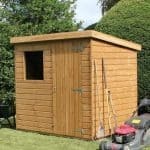 The easily-cleaned, fixed styrene window provides an inlet for natural sunlight, making it easier to navigate when looking for tools or equipment, whilst the door can be locked with a padbolt, for added security. 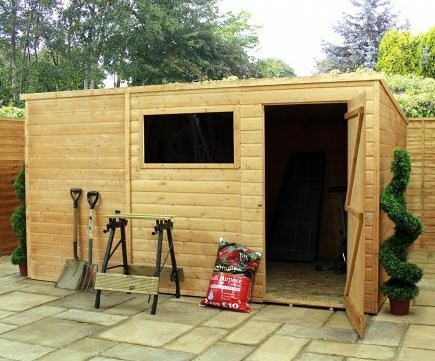 The shed’s pent roof also helps to prevent rainwater from pooling on top.